Uinta National Forest is one of Utah’s premiere locations for year-round recreation, featuring a variety of natural attractions, scenic byways, and endless opportunity for exploring the backcountry and wilderness areas. Uinta NF is located south of Park City, at the southern end of the Wasatch Range. Climb Mount Nebo or visit Timpanogos Cave National Monument. Cross-country ski and snowshoe during winter and hike, bike and more during summer. Drive the Alpine Scenic Loop, Nebo Loop, and Provo Canyon Scenic Byway. Uinta National Forest is part of the Uinta-Wasatch-Cache National Forest and covers more than 1 million acres of the southern Wasatch Mountains. Attractions within Uinta National Forest include Timpanogos Cave National Monument, Strawberry Reservoir, and Mount Nebo. Activities include hiking, hunting, fishing, cross-country skiing, and so much more. Uinta National Forest is located at the southern end of the Wasatch Mountains. You can access Uinta National Forest from Park City by traveling south on Highways 40 and 189. Recreate in Uinta National Forest any time of year. 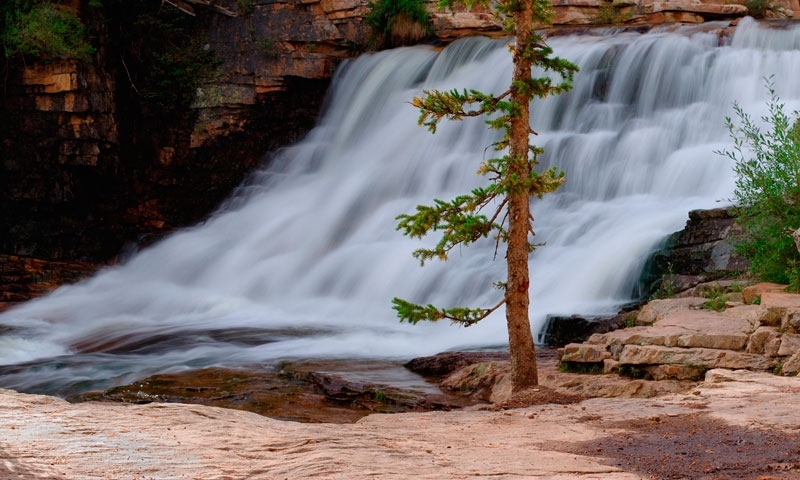 Hiking/Backpacking – Finding a secluded trail in Uinta National Forest won’t be a problem. Climb up to Nebo Peak for a rigorous workout or take a leisurely 2.7 mile hike down Mill Hollow Trail. Camping – Hundreds of campsites dot Uinta National Forest. Try a campground on the shores of Strawberry Reservoir, at the border of the Mt. Nebo Wilderness Area, or near the foot of Mt. Timpanogos. Caving - Spend a few hours viewing natural underground treasures at Timpanogos Cave National Monument. Fishing/Hunting – Search for that trophy big game animal or trout when you fish and hunt in the steams, rivers, lakes, and forest. Motorized Fun – Bring your OHV, ATV and dirt bike for a rip-roaring ride down one of several authorized motorized areas. For a longer ride, boogie down Fifth Water Trail; for a shorter ride try the Red Lake Trail. Snowmobiling/Cross-country Skiing - Utah National Forests pride themselves on having several designated snow-shoeing and cross-country skiing areas and Uinta NF is no exception. If you’re a beginner, try the 4-mile Doe Knoll Loop. Scenic Drives - Scenic Byways brimming with gorgeous mountain landscapes within Uinta National Forest include the Alpine Scenic Loop, the Nebo Loop, and Provo Canyon. Uinta National Forest’s Mount Nebo sits at 11,928 feet and is named after the infamous Mount Nebo of biblical history which overlooks Israel. Located just outside of Heber, Utah, the Uinta National Forest offers a great escape for locals and visitors. Specatular national park in Southern Utah.